Where: Wherever you enjoy reading. 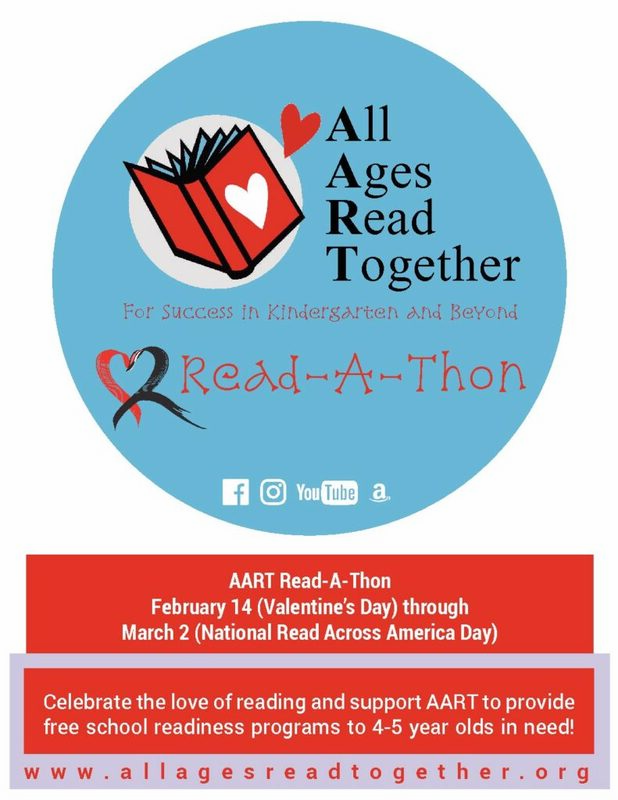 On Thursday February 14th, Valentine’s Day 2019, AART will kick-off our 3rd Annual Read-A-Thon to encourage a love of reading and raise funds in support of our programs. 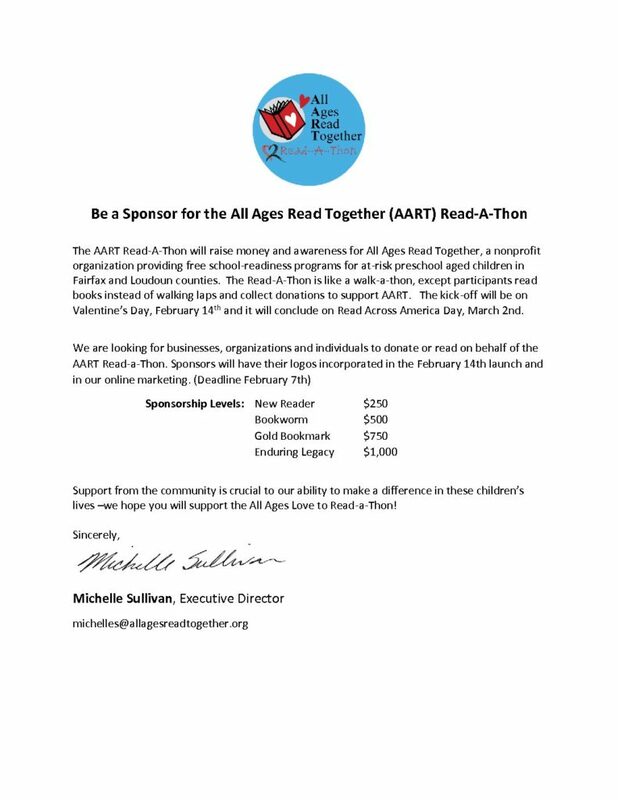 Individuals, book clubs, schools, and businesses are all encouraged to participate. Our kick-off event will be held at the Cascades Library from 1 to 2 p.m. with special guests reading their favorite children’s books, Valentine’s Day treats, and activities. The Read-A-Thon culminates on March 2nd, Read Across America Day. Participation prizes will be awarded weekly via Facebook, so be sure to post photos and stories about the books you are reading.